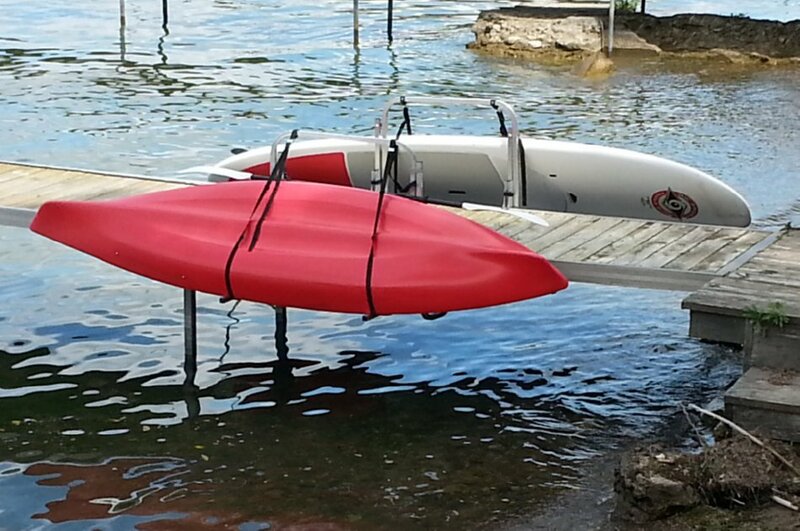 Kayak Dock Rack that lifts and stores your kayak dockside. 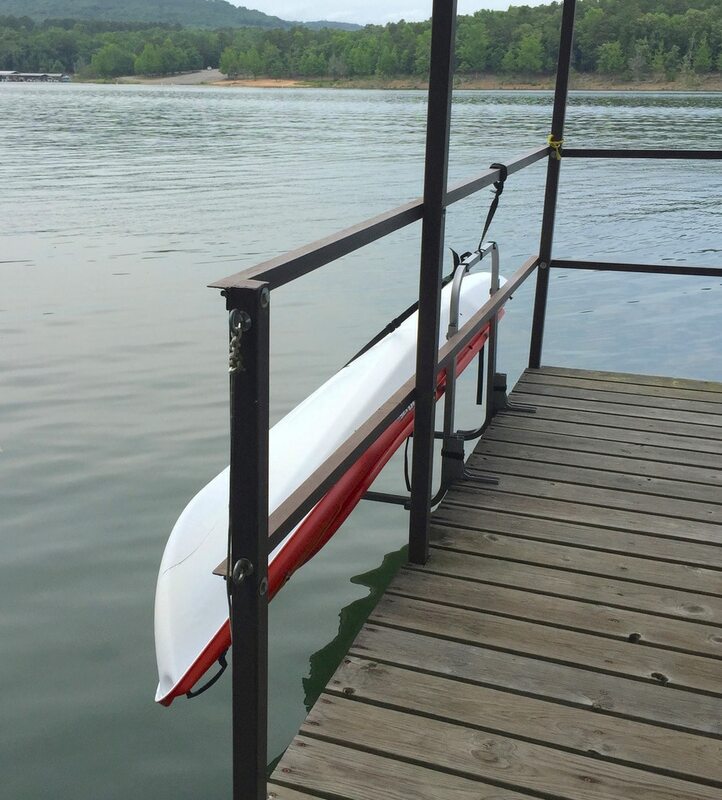 “The DockSider” Kayak Lift and Storage Rack is designed for the entry either by water or by dock. Is your water deep or is the water bottom is mucky or rocky? 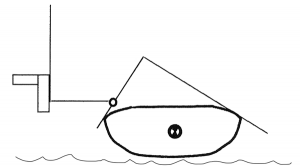 Select Dock Entry. 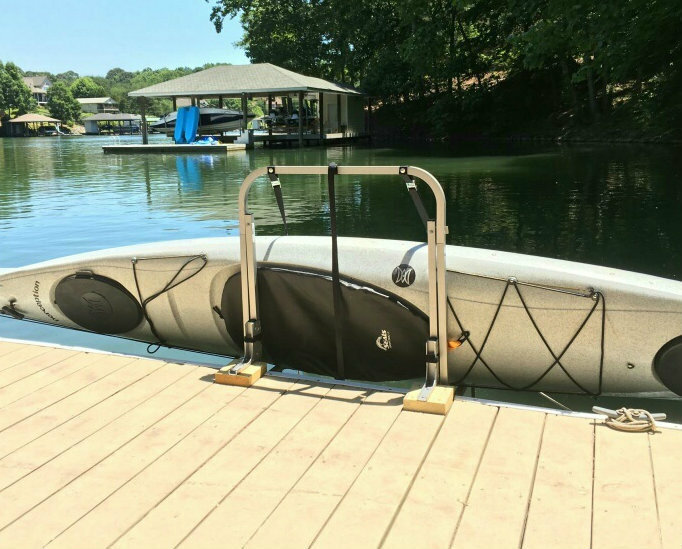 Due to being in a Marine environment; The Water Entry Kayak Dock Rack is made Architectural Marine Aluminum and Stainless Steel. 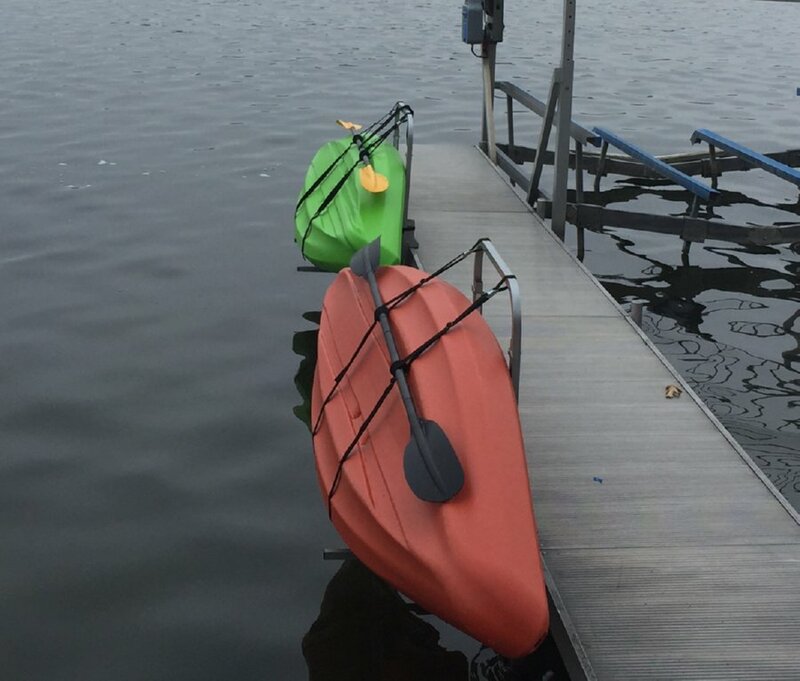 Your Dockside Kayak Rack is right where you need thus promoting more frequent usage. 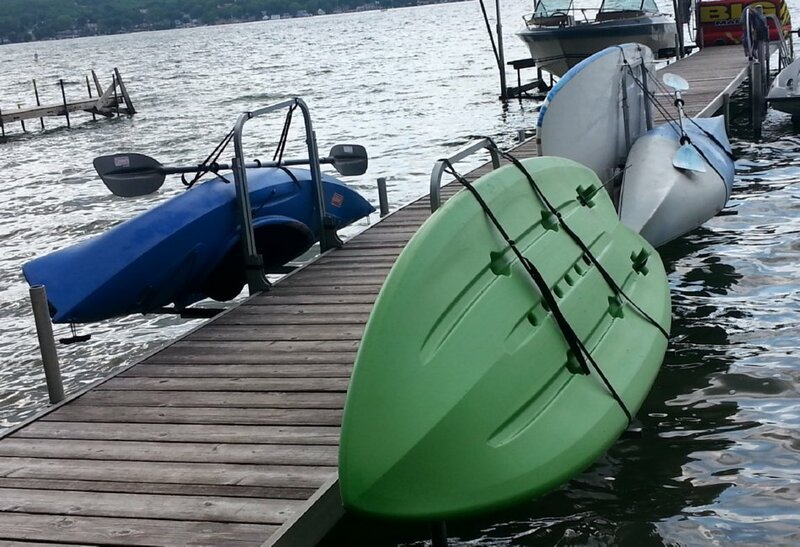 Saves wear on tear on you and your Kayak as you don’t have to lug it to and fro! 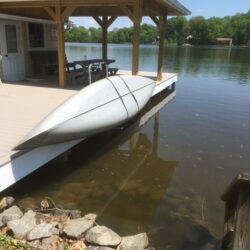 Save Valuable Dock | Pier space! 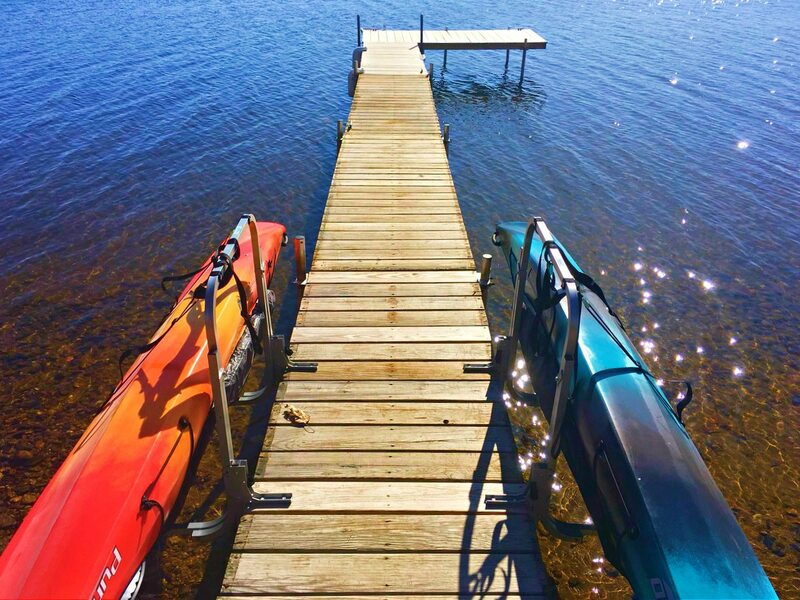 Clear your Dock while your Kayak Storage Rack holds your kayak on the side of your Dock | Pier. 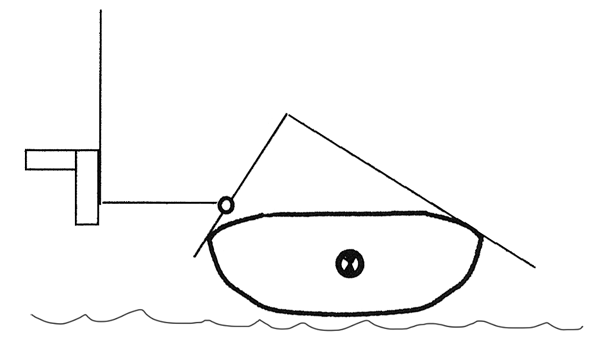 3 Easy Steps – just “Load, Lift and Store”. 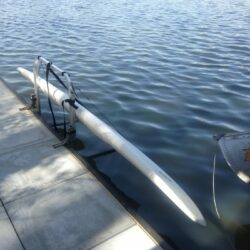 Easy because you Rotate the Kayak Cradle handle downward, Float your Kayak in and center to load, and lift your Kayak to store. Some say “Launch, Load, and Store”! 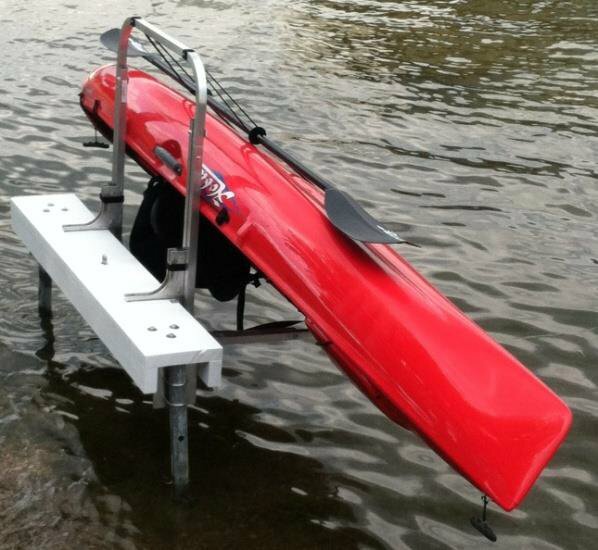 Due to the unique leverage and patented Dock Rack design, the user lifts their Kayak directly from the water. The higher you lift, the force required lessens due to the design. As a result, The lift starts at approximately 60% of the weight in the loading position. An 80lb kayak feels like 48lb. 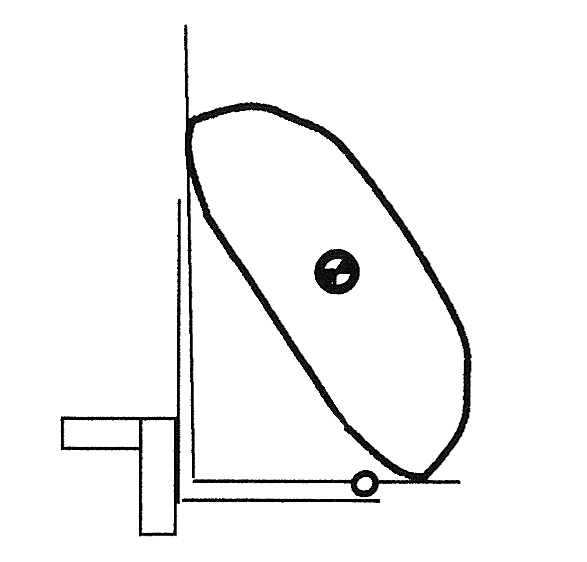 Also, in the storage position, the user does not need to exert any force. 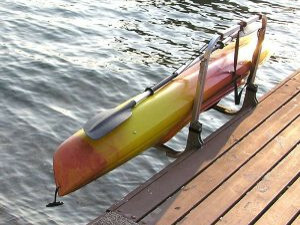 The Kayak will stay in it storage position by itself. There are latches you turn to keep the Dock Rack in the storage position in the event of high winds and inclement weather. 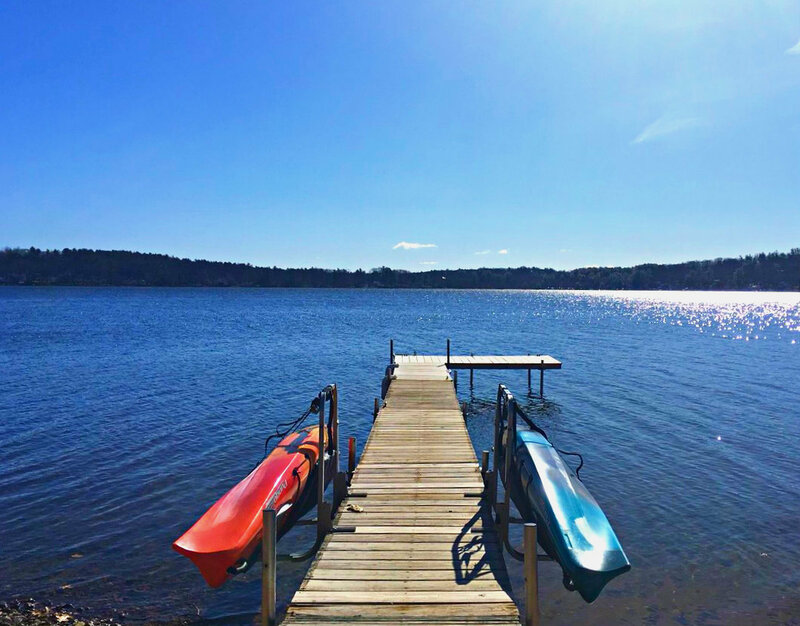 Does your water level change from Spring to Fall? 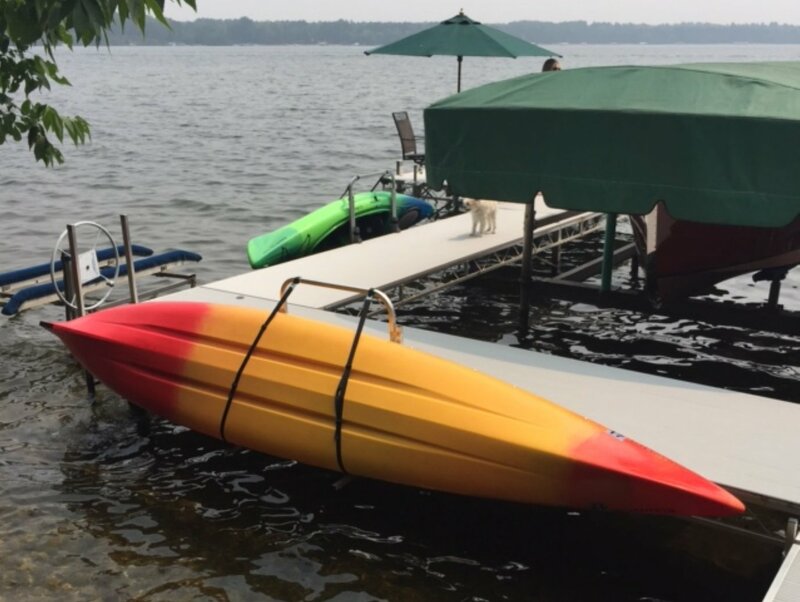 Due to the slot and pin design the user can easily adjust this Dock Storage Rack to accommodate water levels of 10 – 36 inches from the Dock Decking surface! 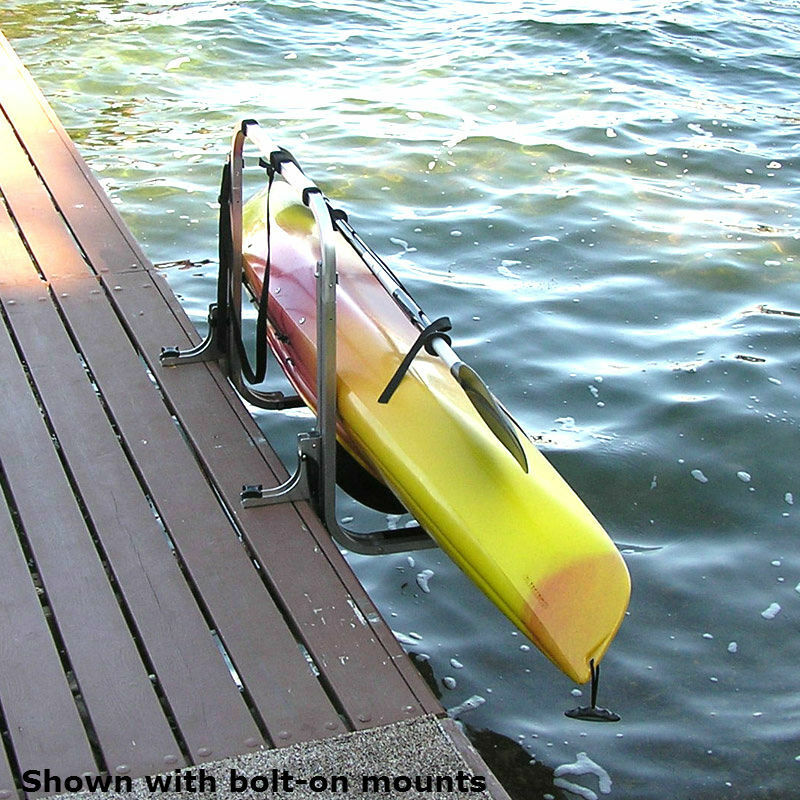 All “DockSider” Kayak Dock Side Rack models offer two mounting options (Bolt On and Clamp On). 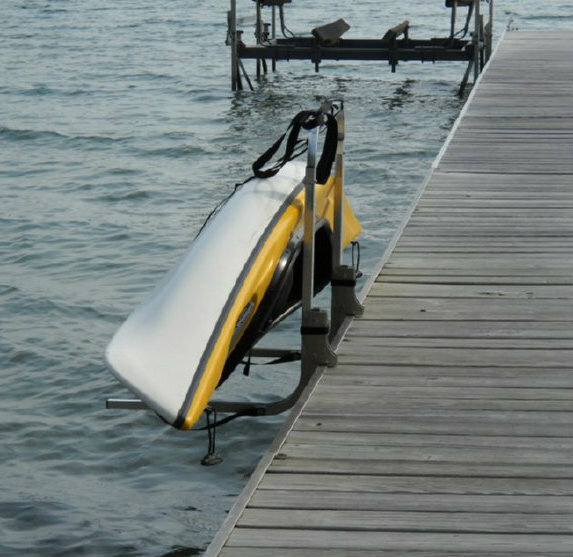 As a result of the design each Dock Mount style is straight forward and easy to install in minutes. 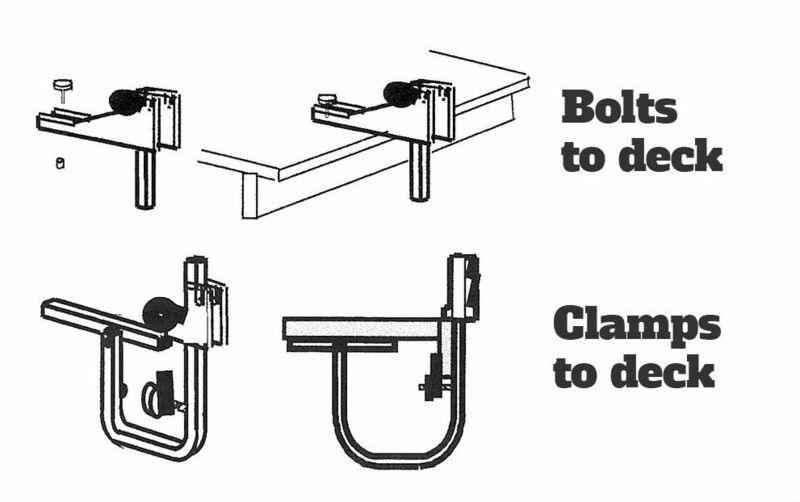 See details under Mounting Types. Finish Natural Aluminum, this will oxidize and will blend with the other aluminum components on your dock. 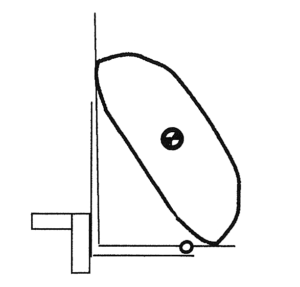 Other Tool marks are present on the surface of the material. These do not affect the structural integrity of the Docksider. As the material oxidizes,these will fade.